“It’s complicated!” You looked at the menu, feeling confused. The barista asked, “what can I get you?” And you replied, “what’s a yir-ga-cheffe chemex? The barista used the next 5 mins to explain what chemex, filter coffee, yirgacheffe was and blah blah blah… But deep down in your mind, you were thinking: I just wanted a simple coffee. All of you must have experienced this the first time you went into a specialty coffee house. You just want a simple delicious coffee but you are confused with all these terminologies on the menu and what the barista is trying to explain to you. You have no idea why coffee is so complicated. And then you decide to go back to your usual instant coffee. The world consumed over 7.5 million tonnes of coffee in 2017, which amounted to more than USD $75 billion, according to CoffeeBI at sell-in prices. About 34% of all coffee consumed is instant coffee. The instant coffee market is currently valued at USD $28 billion and is expected to grow another USD $8.3 billion by 2020. Coffee is undoubtedly a huge market but whether you agree or not, the specialty coffee industry is weird. Let me tell you how. Working in the specialty coffee market, we always say we need to expand the market and educate the general coffee drinker. But in fact, we make coffee too complicated for amateur coffee drinkers and scared them off. How can we expect anyone to put the effort in to learn from us before they’ve even tried a good cup of coffee? Plus, it’s no different than asking someone to change their long established habit on the condition that they are satisfied with the current morning coffee. We are advocating educating the public and serving the best coffee but at the same time, we are isolating ourselves to a limited market. However, while we are working so hard to promote specialty coffee, almost half of the world is after instant coffee. Depressing, isn’t it? No, it’s not. Instead of dwelling on negative feelings, we can always turn things around. Specialty Instant Coffee – A New Market Alternative? The other problem of the hand crafted specialty coffee we are now working on is that it is not scalable. No matter how famous you are, you can only serve coffee in your shops. We cannot approach the potential customers who do not actually go to a coffee shop. 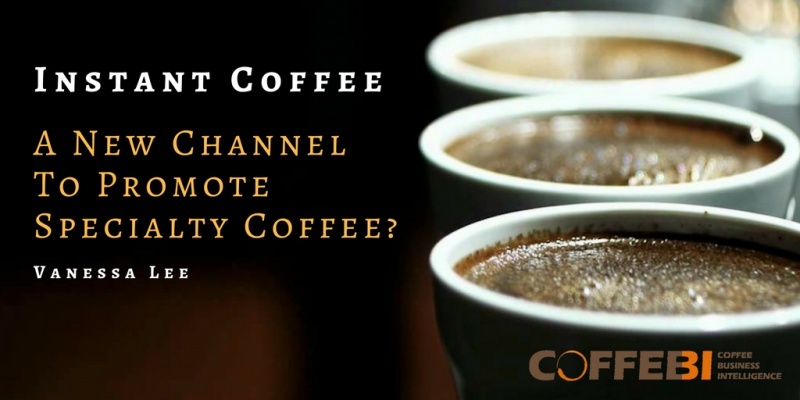 So, maybe developing specialty instant coffee could be a new channel to promote good coffee? And hence, expand the market. By specialty instant coffee, it means making instant coffee using specialty coffee beans. Real high quality coffee undergoing the process of making instant coffee. Those people who have never tasted specialty now have an alternative to enjoy a real good quality cup of joe with the same method they are used to. As coffee lovers and drinkers, we all know once you taste a good coffee, you can never go back to the commercial ones. This experience is exactly what we need to create for our potential customers. I believe this is a better channel to introduce specialty coffee to beginners and it is beneficial to our industry. Instead of rejecting commercial coffee and only looking at the overly complicated coffee style, we should be more open minded to accepting new possibilities. Specialty instant coffee is definitely a good example. What do you think about specialty instant coffee? Let me know! 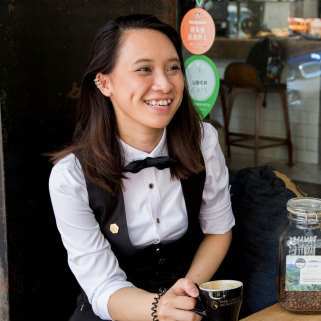 Vanessa Lee is a Hong Kong based barista trainer, working for The Coffee Academics. She is the founder and blogger of Forbidden project (www.forbiddenbean.com). Her coffee-water relations project has been featured by a local media.